Here is Some Information about Vimala Temple(Shakti Pith)in Puri Orissa India. The Vimla -Utkal Shakti pith temple is located in Jagannath Temple complex in Puri Orissa.The temple was Built by the Somavamsi kings in the 10th century, is the Vimala Temple, which is dedicated to Goddess Shakti, another incarnation of Goddess Parvati. This sanctum has 7 incarnations of Goddess Parvati within the premises namely, Varahi, Chamundi, Kaumari, Andri, Vaishnavi, Brahmi and Maheshwari. The holy pond near the temple is called Markanda.This temple stands as a monument for the predetermined years when Puri was a genuine Shakti Pitha. Vimala is considered to be the Tantric consort of Jagannath and a guardian of the temple complex. Devotees pay respect to Vimala before worshipping Jagannath in the main temple. Food offered to Jagannath does not get sanctified as "Mahaprasad" until it is also offered to Vimala. The people of Orissa take pride in the Vimala temple. 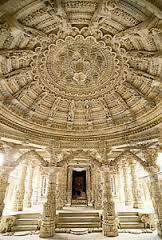 They consider it the most important temple to the Goddess and a must-visit. The temple is located in the south-west corner of the inner enclosure of the Jagannath temple complex next to the sacred pond "Rohini Kund". 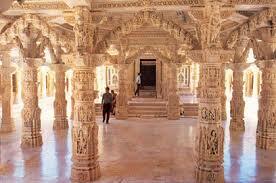 The temple faces towards east and is built of sandstone and laterite. It is built in the Deula style that has 4 components namely, "Vimana", "Jagamohana", "Nata Mandapa" and "Bhoga Mandapa". 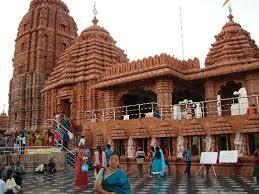 The temple is maintained and was renovated around 2005 by the Archaeological Survey of India, Bhubaneswar. During the anavasara period, as an ideal newly-wedded wife, Lakshmi completely devotes herself to nursing her sick husband. For fourteen days she gives up sleeping, after which she understandable becomes a little tired and falls asleep. As soon as he sees that Lakshmi has fallen asleep, her husband Jagannath unties his cloth from Lakshmi’s and immediately leaves for the Gundicha temple to see his girlfriends, Radharani and the vraja-gopis. This takes place on the second day of the bright half of the month of Asadha, and is known as Gundicha-yatra or Ratha-Yatra.Lakshmi Devi wakes up a few days later to find her husband gone. When she inquires where he is, Jagannath’s servant explains that he went to see his girlfriends. Hearing this, Lakshmi leaves the alter, and goes to stay in the storage room of the Jagannath Temple – just like a depressed wife would. She refuses to take opulent food, and dines like poor Orissan people on dalua rice and kalamba saga. The sixteenth chapter of the Vamadev-samhita describes that Lakshmi went to Bimala Devi and said, “O dear elderly lady, you already know about the misdeeds of Jagannath. I don’t know where he and his sister went. Being his wife, do I now at least have the right to know where he goes? Wht wrong did I do to deserve such a thing ? what can I say about his peomiscuous nature ? in his absence, I’ve not even observed my pati-vrata dharma of taking bath ! By Road : Mini buses run by the state transport department connect Puri with Bhubaneswar while jeeps are available to and from Konark. There are two bus terminuses within the city at Baramunda and opposite Ashok hotel while private buses are also available at the junction of Grand Road and Hospital Road. By Air : The nearest airport is located at Bhubaneswar. Indian Airlines has direct flights to Bhubaneswar from Kolkata, Delhi, Hyderabad, Mumbai, Chennai and Vishakhapatnam. From Bhubaneswar, you can board a state transport bus or hire a taxi to reach Puri. This is nice and great post. Great share! It was such an informational blog, pleasure reading your content, Thanks.